Dr. Richard Green earned his B.A. in chemistry from Concordia College, Moorhead, Minnesota, the M.S. in chemistry from North Dakota State University and his PhD in Chemistry from the University of Louisville. He is also a graduate of the Harvard University Institute for Education Management. He has taught chemistry at Kentucky State University, Concordia College, the State University of New York College of Buffalo, the University of Louisville and the University of Massachusetts at Amherst. Dr. Green held several administrative positions in higher education including Assistant to the President at SUNY College at Buffalo, Academic Dean at Capital University in Columbus, Ohio, Vice President for Academic Affairs and Dean at Augsburg University in Minneapolis, Minnesota and Vice President for Academic Affairs at Union Institute and University in Cincinnati, Ohio. In addition to serving as President at Jefferson Community College in Louisville, Kentucky, he held interim positions as President of Metropolitan State University, St. Paul, MN and Interim Provost and Vice President for Academic Affairs at St. Cloud State University, St. Cloud, MN and as Provost and Vice President and President at Midland University in Nebraska A recent Registry assignment was an appointment as Interim President of United Lutheran Seminary in Gettysburg and Philadelphia. 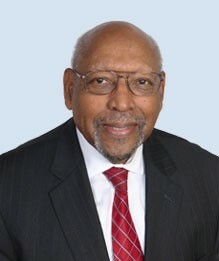 Dr. Green has been associated with the Registry for College and University Presidents for more than twenty years as a member and in positions such as Interim Dean of the College of Arts and Sciences at National Louis University in Chicago, Interim Provost and Vice President at Alcorn State University and Interim Provost at Albany State University in Albany, GA. He has also had Registry assignments as a consultant at Concordia College, Selma, AL and at Texas Southern University. His most recent HBCU assignment was as Interim President at Lincoln University in Pennsylvania. His higher education experience has been complimented by his service as Director of Corporate Education and Assistant to the President and CEO of Honeywell INC in Minneapolis, MN. He also has served on several local, state and national non-profit boards, including the National Community Foundations, and the National United Way. He serves as a Registry senior consultant and as a principal for interim placements.